With Halloween only a few weeks away, it’s time to start planning for the festivities. One of the best ways to celebrate this terrifying holiday is with a Halloween party. 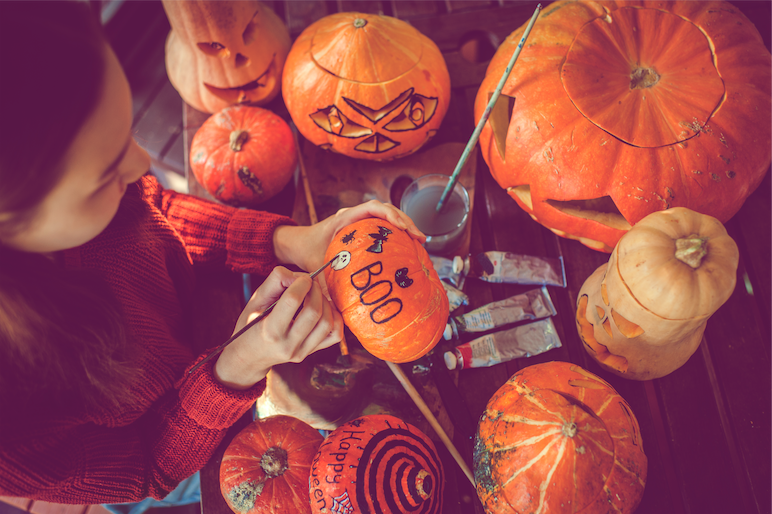 If you’ve never thrown a Halloween bash before and it seems quite daunting to plan one, don’t be afraid. Ream’s Food Stores wants to make it easier on you. We’ve made a list of everything you’ll need to ensure everyone has a wickedly fun time! Set the scene with Halloween decorations around the house. 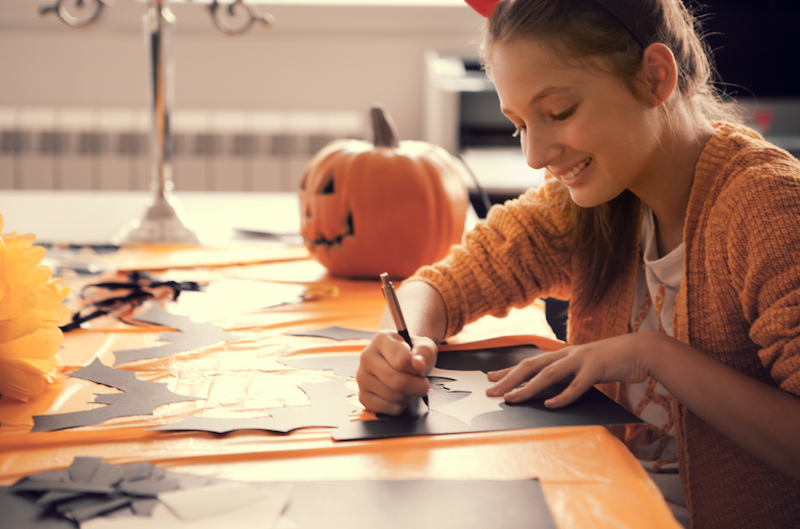 You don’t have to spend a fortune to make an impact, carve pumpkins and cut Halloween characters out of paper to hang on the walls. If you want to make life easier, print off the templates before you start cutting. These decorations will make your house look boo-tiful without breaking the bank. You can’t throw a party without delicious Halloween themed treats. 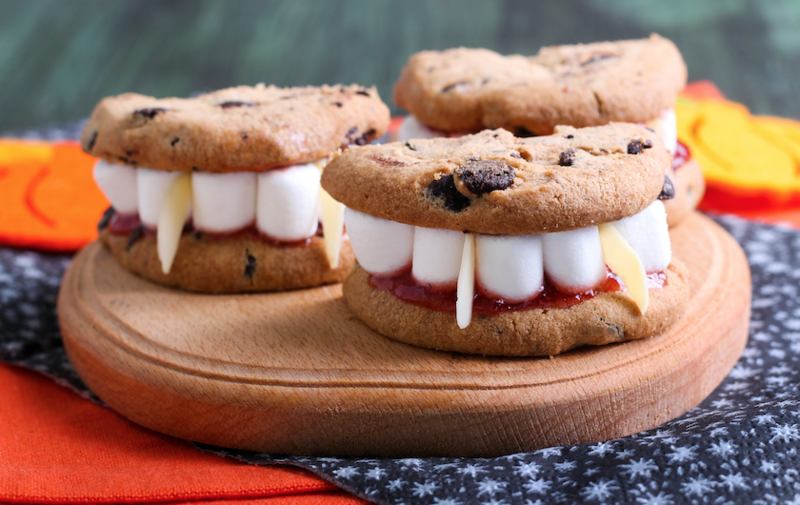 Dracula Denture Cookies are easy to make and you only need a few ingredients. Pick up chocolate chip cookie dough, vanilla frosting, red food coloring, mini marshmallows and slivered almonds at your local Ream’s Food Store location. Trust us, your guests will love biting into these cookies. Make sure you have healthy options for those who have stricter dietary restrictions, but keep the Halloween theme going. 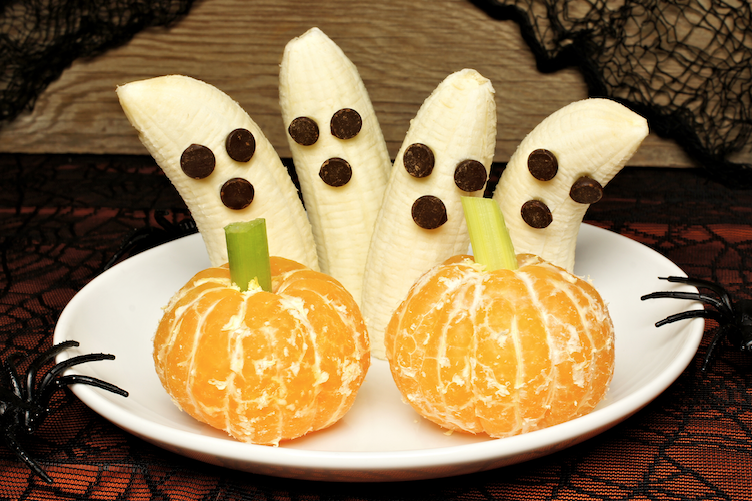 Banana Ghosts and Tangerine Pumpkins are delicious snacks that the whole party will enjoy, diet or not. They are also a great option for children, especially when endless amounts of sugar filled candy and treats are so prevalent during this holiday. It wouldn’t be Halloween if you didn’t incorporate pumpkins into your party. Decorating pumpkins is a great activity to get the whole group involved. Have a carving and painting contest, the guests can vote on their favorite and the winner will get a prize. You can even put the pumpkins on the display for the rest of the party. It’s an activity and decorations all in one. You have to entertain your party guests, so what better way than with an interactive game? 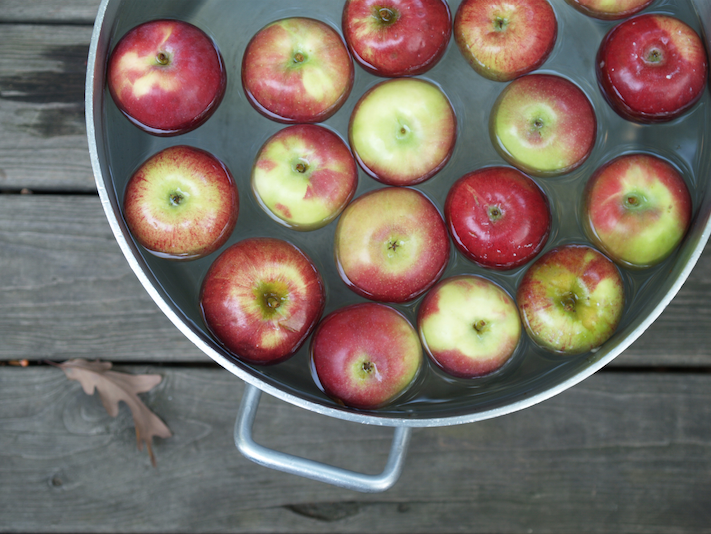 Bobbing for apples is a classic fall tradition that is simple to put together and hours of endless fun. Fill a tub or basin with water and pick your favorite apples from Ream’s Food Stores to drop into the water. Whoever can pick up the most apples with their teeth will be the winner. Remember no hands allowed!